The field for Pittsburgh’s mayoral primary has grown by two. Democratic sources tell PoliticsPA that former Auditor General Jack Wagner and City Council President Darlene Harris are both circulating nominating petitions. 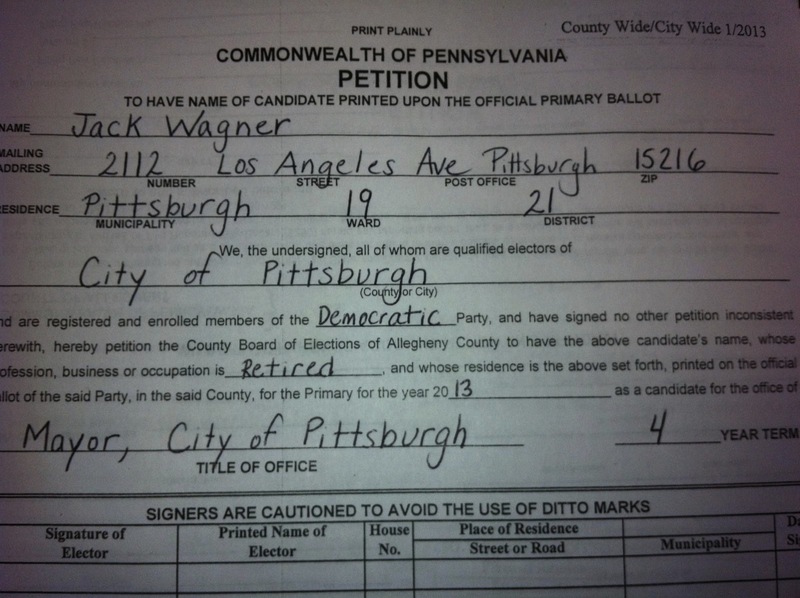 The Wagner petition push has been confirmed by three separate sources; PoliticsPA is seeking comment from his campaign. Wagner recently finished two terms as Pa. Auditor. He previously served as a state Senator and a City Councilman, and ran for Governor in 2010. He’s floated the possibility of a bid for almost a year and reiterated his interest on Saturday. Harris has served in City Council since 2006 and its president since 2010. She confirmed her bid to KDKA and WPXI. The field has been highly unstable since Mayor Luke Ravenstahl announced Friday that he would not seek re-election. Candidates have until March 12 to collect the 250 signatures necessary to make the ballot. State Sen. Jim Ferlo, former Allegheny County Executive Dan Onorato, Councilman Ricky Burgess have all been named as possible additions to the primary. Rumors had also circulated that Wagner’s niece, Allegheny County Controller Chelsa Wagner, might enter the race should he defer. City Controller Michael Lamb and City Councilman Bill Peduto declared their candidacies before Ravenstahl changed course.